Internationally recognized interior designers have orchestrated The Mandeville Hotel bedrooms for the utmost comfort. Each bedroom exudes style and has been furnished with luxurious fabrics and wall coverings from some of the leading design houses. 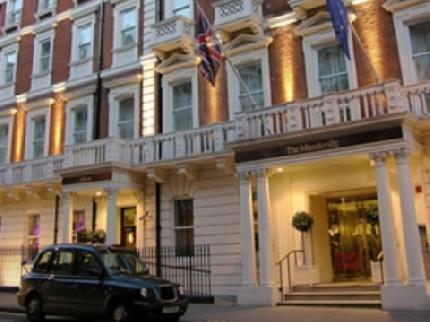 The Mandeville Hotel is based in the ever-fashionable Marylebone Village,within a few minutes walk of some of London's most exciting shops, art galleries and antique shops of Mayfair. The hotel is perfectly located near some of the world famous auction houses such as Sotheby or Christies and renowned Harley Street clinics, making this hotel an excellent choice for your leisure, cultural and corporate stay in London. The Mandeville Hotelprides itself on offering a highly personalized service under the direction of its expert management team. Great design is the key to the hotel,providing guests with a sophisticated and stylish environment. We are committed to providing a pleasant environment for our guests andfurther to an overwhelming demand The Mandeville Hotel operates a no smoking policy in all of our bedrooms and communal areas.